Narec Distributed Energy secured an agreement with Schiedel Chimney Systems (formerly Rite-Vent) in Washington to deliver accredited Biomass training. The H005DE course, which is split into 5 days of standards, regulations, wet installation, dry installation and commissioning, leaves delegates fully qualified installers of woody biomass systems. 10 heating and gas engineers from the Sunderland area were booked to attend the HETAS training centre in Washington to complete a direct entry Biomass course as part of the Sunderland Low Carbon Demonstration Project. The delegates were all qualified heating and gas engineers but had little experience in the installation of Biomass systems. 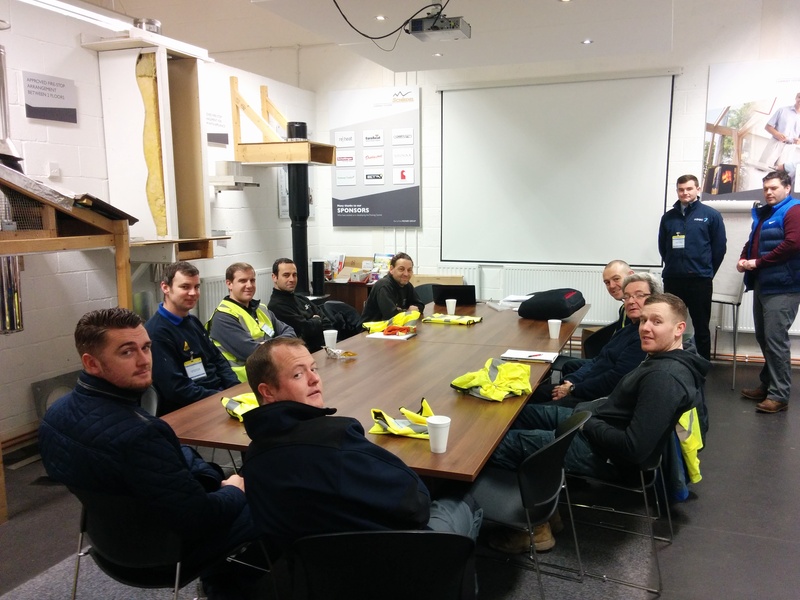 Whilst there was the option to train candidates through HETAS in shorter, less comprehensive courses, Narec DE opted for the full H005DE direct entry course as it would give the candidates a higher level qualification allowing them to complete ‘turnkey’ installation, from feasibility and heat demand calculations to ‘signing off’ the system post-installation. The delegates, who were all attending as fully funded delegates within the project, completed the course on the 30th January. Some delegates have already begun working together on projects in the North East. The Sunderland Low Carbon Energy Demonstration project is a £3.9 million investment in a low carbon social housing project which aims to reduce energy costs and tackle fuel poverty, while also contributing to local and national carbon reduction targets. As part of the project, Narec Distributed Energy are providing fully funded business support, consultancy and training to Small and Medium Sized Enterprises (SMEs) in Sunderland (including sole traders) to improve their capacity, skills and environmental management. Helping to meet the growing demand for low carbon and renewable energy measures.